2nd July 2018 – Buxton Resources (BUX:ASX) are a Nickel (Ni), copper (Cu), gold (Au) and graphite (C) exploration company with exploration licences acros Western Australia. Current focus is on their virgin exploration Double Magic Nickel-copper (Ni-Cu) prospect on the western limb of the Kimberly Basin. This company stands out for us firstly because it hasn’t received a great deal of coverage and is probably undervalued due to lack of exposure. It also raises eyebrows, because other’s have mirrored it and followed Buxton’s work along strike, finding similar promising geophysical data and raising funds from the state exploration fund to extend research. After some short-lived campaigns in Greenland, Ram Resources briefly operated adjacent to Buxton, before changing their name to Longford Resources and moving from Australia to the Keel zinc project in Ireland. Ram’s project was somewhat successful, but state funded without any clear long-term intentions. Buxton on the other hand are targeted, compliant and cash safe with $2.4 million (AUS) in the bank to fund their ongoing drilling program in the Kimberley for this season. Recent analytical reports suggest caution, but I personally think this project is at an exciting fork and, those on board if they hit their drilling targets at Double-Magic will reap the rewards from a favourable jurisdiction and reasonably worry free project. This is a project for the geologists among us, with the concept based on magmatic flow models. Geology is in its nature, can be wonderfully unpredictable so, this could of course go the other way if their textbook concept is wrong! The Management team at Buxton is well mixed with a experienced geologist Eamon Hannon (previously of Fortescue Minerals) in the MD seat and Stuart Fogarty (previously BHP’s Senior Exploration Manager for North and South America) as one of 4 non-exec directors. All have previous successes delivering results for investors. This key project for Buxton focusses on exploration of the Ni-Cu mineralised Ruins Dolerite, across their Sentinel and Merlin licences. The company are following the dolerite intrusion East where they hope to intersect heavily breciated and massive zones of high grade Ni-Cu mineralisation below the intrusion. These zones appear to have been formed by late stage fluids trapped under the intrusion, first brecciating (fracturing) the rock structure under high pressures, then forming massive zones above this post brecciation. Some metal carrying fluid has seeped into the above rock, suggesting the rock was still hot and deep while this occured. 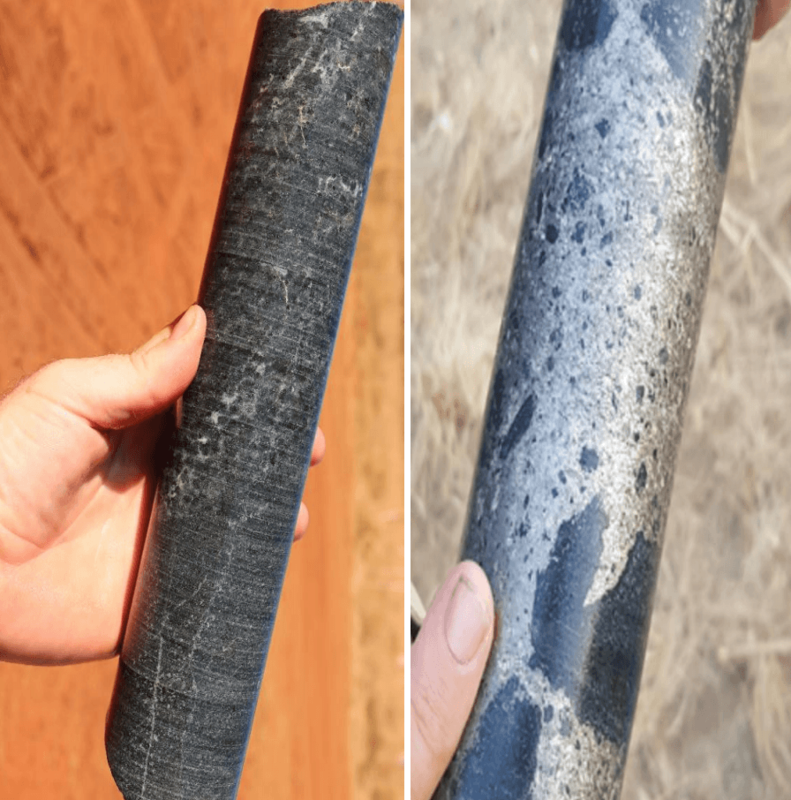 Gravity surveys at the Merlin prospect has correlated to the known geology and suggest the mineralisation may be sourced from a central point which could be an absolute gem of a discovery if they’re right! Drilling is ongoing, so, we’re on the cusp on knowing if this exciting project hits its targets. If it does, they’re big targets with decent development potential and a reliable market value (Ni & Cu both predicted to be in demand for the foreseeable future). Now is the time for a speculative investment if you like the thrill and mystery of virgin projects like this one. Drilling is based on geophysics and a textbook geological model. As a geologist I like the simplicity of this and would love to see it come through. Unfortunately 90% of deposits are not as the textbooks want us to think. The primary fluid hub could already have been eroded from a chamber above or may just not exist, this really is a proper early stage exploration project. I’ll be staying aboard for the ride and I’m looking forward to seeing some media and reports as the drilling goes on. Facts and figures regarding financing taken from Buxton Resource’s own Investor presentation and Research report published on 20th June 2018. Accuracy and responsibility for this data remains with the company and researchers as referenced. MiningIR provide news and reporting on the global resource industry, our articles should not be considered as formal financial advice. Always seek professional guidance before investing. Next article2018 is halfway there, are miners living on a prayer? Whats hot among this Autumn’s mining and resource listings on the ASX?